As a business owner in Edmonton, you should always be on the lookout for new and effective strategies not only to increase revenues but also to provide solutions to tasks that usually take up a lot of time and effort. Look into some parts of your business operations and see which of those have alternative solutions that bring more convenience to you. Look into how you can make payment schemes easier for you. A lot of business owners use checking systems for transactions. What is great about this is that it reduces the need to carry a large amount of money all the time. With a small piece of paper, you can perform transactions without going through the often dangerous task of transferring a large sum of money. Ordering online is much more convenient. Rather than visiting every printing company in Edmonton, you should use the internet to search for the best companies that can offer you this service. Ordering your cheques online frees up a lot of time and reduces the need to drive personally to the printing shop and place your order. With just a click of a button, you can send your order and it will be delivered to you once the cheques are made. There are countless online printing companies to choose from. Before deciding which printing company in Edmonton to trust with your cheques, look around first for the providers and then narrow down your options. You can easily find options through the internet because you no longer have to battle traffic or hop from one place to another to determine the services being offered. It is easier to look their credentials up. Once you have found your printing company, it shouldn’t be difficult to find details about their credentials. Are their products 100% CPA compliant? What printing services are they offering that others aren’t? You will be able to come up with a more comprehensive comparison by simply searching online. It allows you to take advantage of better and more cost-effective options. Buying online allows you access to special promotions and discounts. For instance, you can get more cheques from the money you usually spend having them printed. Look for those that offer 25% more on laser printing and 50% more on manual cheques to get more out of your printing budget. You can take advantage of the latest technologies. Online shops are equipped with the latest technologies needed to make your cheques safer from fraudulence. Special printers can manufacture laser cheques with gold hologram and heat sensitive features as well as incorporate them with passwords or security keys. Delivery is fast and easy. 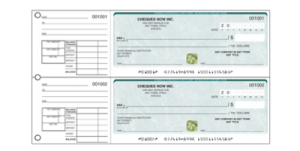 Many printing companies offer rush delivery so if you have a pressing need for cheques or you suddenly run out and you are in need of more, you can have these shipped out fast. There are more background and customization options to choose from. 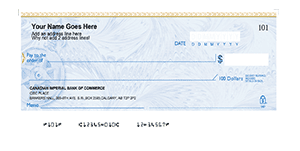 Depending on the printing company, you have access to various designs that can make your cheques look original. You can find printing companies that other big companies are using. By ordering online, it is easier to find cheque printing companies that also cater to big franchises and companies. If you know which companies they are servicing, you can be assured of their credibility. It is easy to arrive to the conclusion that buying your cheques online is a better business step. For your convenience and to get more from the money you spend on the cheques, opt for this system. Always transact with reliable companies manufacturing 100% CPA compliant products. Make sure they also have a physical company you can go to when the need arises. 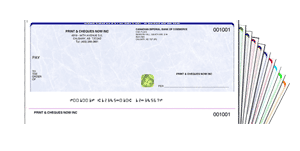 Not Sure Which Cheque Type Is Right For You?